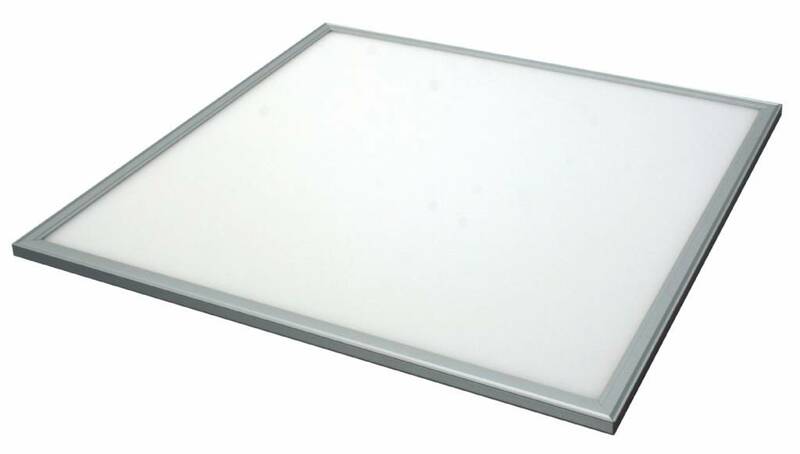 Dimmable 60x60cm LED Panel, replacement for a traditional TL fixture in your dropped ceiling. 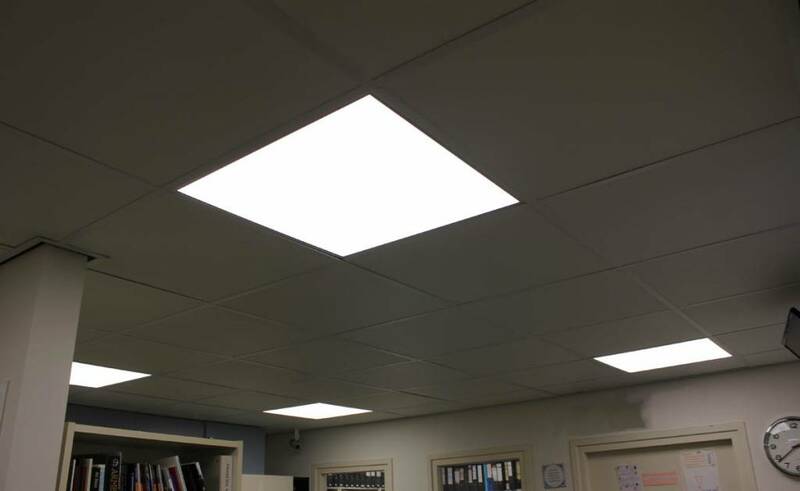 This LED Panel replaces a 60x60 TL fixture. 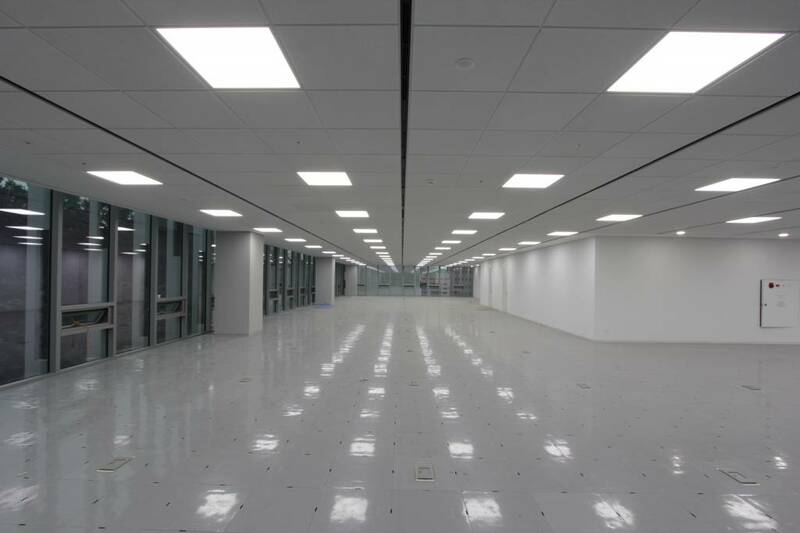 With a power consumption of 48W, this LED panel is a suitable replacement for 72-96W of TL lighting. 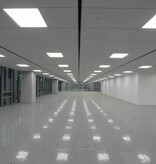 Another big advantage of this LED panel is that the light output is very uniformly distributed compared to a TL fixture. 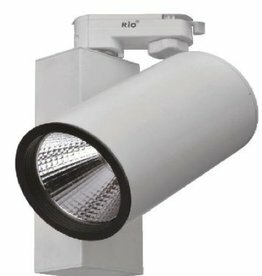 The light output (4000 lumen) and color (4000K White, CRI >80) are very comparable to a TL fixture. Colors are vivid thanks to the CRI value of more than 80. The light angle is 120°. 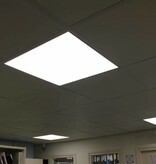 This LED Panel includes a high quality driver. Cables and mounting accessories are also included. 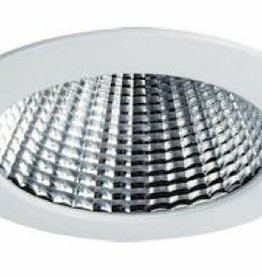 The LED panel is installed in your dropped ceiling within 1 minute, no modifications are necessary. 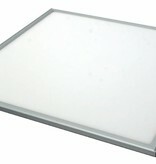 This LED Panel weighs only 4.0kg and saves up to 70% energy compared to a traditional TL-fixture. The LED lifetime is 50.000 hours. Dimmable on a 1-10V dimmer.